A few days ago Blizzard launched a limited Overwatch event, the “Summer Games,” themed around the 2016 Rio Olympics. While everyone is busy playing Lucioball and only unlocking the limited edition skins for characters they never play, this reminded me of an event from a few years earlier, the first time Blizzard decided to get into the spirit of the games, with the 2008 Beijing Olympics. Beginning on August 7th 2008, a special Olympics-themed World of Warcraft event started, known as the “Spirit of Competition.” Playing a match of the in-game player vs. player battlegrounds would award a unique tabard, the Competitor’s Tabard, win or lose. The tabard was an obvious nod to the Olympics logo, mimicking the iconic series of colored rings. 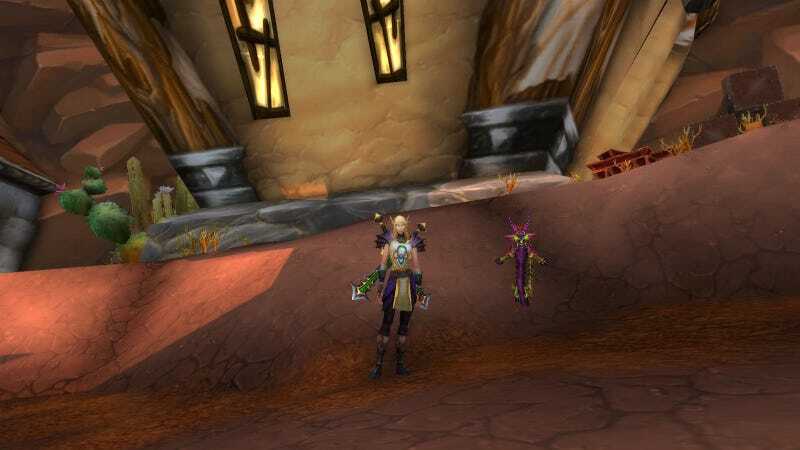 Another special reward, the in-game cosmetic pet known as the Spirit of Competition, was also available, with about a 1-in-8 chance of being awarded to players on the winning team of a given battleground match. What even players from that time might not have known was that there was actually another pet associated with this event, the Essence of Competition, was also available during this event, but was much, much rarer. The reason you’ve probably never heard of this pet is that it was only available on Chinese servers, and even then in very limited quantity. The pets themselves used a serpent dragon model which had only previously appeared earlier that year in another Chinese-only promotion referred to as the iCoke promotion, although details about this promotion are hard to come by, at least in English. The models would later be reused with different coloration in the Mists of Pandaria expansion. Another interesting aside is that when the pet battle minigame system was introduced four years later, both Spirit and Essence of Competition would be given a unique ability called “Competitive Spirit” which no other pet in the game has. Sadly, this event would not make a reappearance in any way for the 2012 London Olympics, with Community Manager Zarhym stating that the upcoming expansion (Mists of Pandaria) was keeping them too busy to reintroduce the event. With Lucioball filling the void of Blizzard Olympics-themed events, and another World of Warcraft expansion coming out in just 26 days, there’s no sign of this event making a comeback this year either, putting the tabard and pet alongside other random pieces of WoW trivia, alongside the Night Elf Mohawk and his Mohawk Grenades, of random, inexplicable events that happened over the game’s twelve year history. Ok, maybe they’re not quite as inexplicable as the Mohawk Grenades.